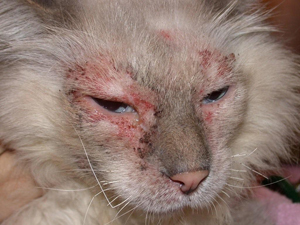 Discovering how to deal with cat allergies starts by understanding what the causes are. Once you are aware of this, then you are in a much better position to, not only deal with it, but to rectify it totally. This means that your cat’s health can be fully restored to the vibrancy of a kitten. Every health problem is an opportunity to unlock the door to do this. If you like, the problem is the messenger: “understand and resolve this issue and overall health improves”. So dealing with cat allergies need not be the ongoing health problems vets would have you believe. Signs of cat allergies can include such symptoms as skin eruptions or rashes, sneezing, itching without a visible cause, swelling and difficulty breathing. If you take your cat to a vet, they will want to do allergy tests to discover what the trigger is. This can be expensive and doesn’t really tell you much. The trigger isn’t the cause. 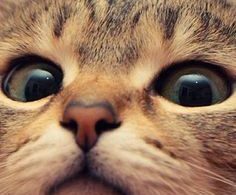 Cats with food allergies, cats allergic to dust, cats with allergies from a variety of often perfectly natural substances only tell you what the trigger is, not the real cause. Then you will probably be sent home with a drug that is supposed to deal with the allergy. A drug which will only subdue the symptoms, as there is no veterinary cure for cat allergies. And a drug which will be toxic to your cat. This means your cat’s immune system will take a tumble. A further tumble as the reason your cat has an allergy is because the immune system is already low. 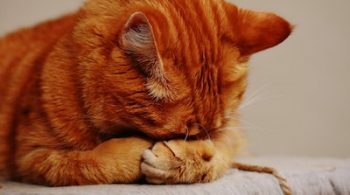 So what causes cat allergies in the first place? What causes the immune system to fail to deal with what is often a perfectly natural trigger? 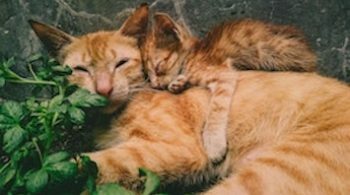 Two very common problems domestic cats face today that lower their immune system is the food they are fed and the veterinary treatment they receive. If you check the ingredients on the food you are feeding your cat, you will find that a large portion of them are plant-based foods. Cats are carnivores. They can’t digest or utilise plant based foods well. They cause an enormous amount of problems, including knocking their immunity for six. If you don’t eat the right food for your species, then your health will ALWAYS suffer. That is only the start of the problems with any commercial cat food. 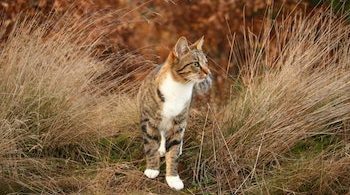 Looking for answers on how to deal with cat allergies also includes veterinary treatment, especially the vaccines. Vaccines have always been the cause of giant leap backwards in terms of a healthy immune system. Holistic professionals have known this since they first appeared, simply by observing what happens to any being who is vaccinated. So how can you cure cat allergies, when you have already had your cat vaccinated, probably several years in a row, and feed the recommended commercial cat food from your vet? The priority is to learn to feed wholesome, natural food that is almost identical to the food your cat evolved on. That alone can cure a multitude of health and bevioural problems. The second suggestion is to use the services of an holistic practitioner, preferably a homeopath. Good homeopathic treatment has the ability to completely reverse any problem, including problems from vaccines. I suggest that it is only good homeopathic treatment that can reverse such deep seated and destructive tendencies. Not only is this double approach effective and toxin free, you won’t need to take out a bank loan to pay for it. Vets fees are spiralling out of most people’s reach these days. Which, hopefully, makes them turn to better ways, such as holistic health. Searching for ways of how to deal with cat allergies may have opened a pandora’s box for you. Always look for the deep cause, rather than merely the trigger, for any health issue. Always feed the right food for the species. Cats are not omnivores. They are carnivores. Vaccines don’t protect against disease, they encourage it. Only a healthy immune system protects against disease. Learn to read through the hype, the myths. Discover the truth, for your sake, if not your cats.